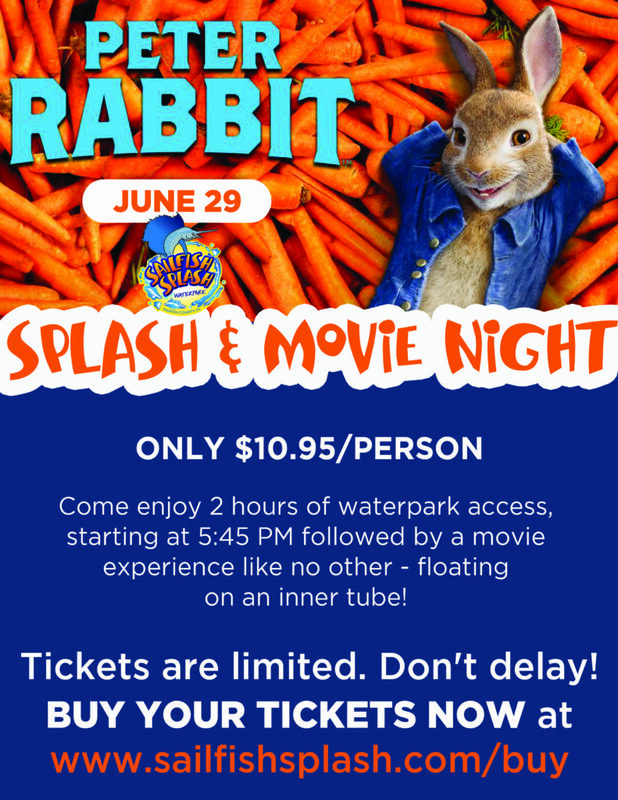 Splash & Movie Night presents PETER RABBIT!!! The 2018 season of our Splash and Movie Night series is finally here! Come and enjoy 2 hours of exclusive waterpark access from 5:45 to 7:45 PM followed by a movie experience like no other – floating on an inner tube! Splash and Movie Night tickets are $10.95 and can be purchased online only. **Once sold out, no additional tickets will be made available.